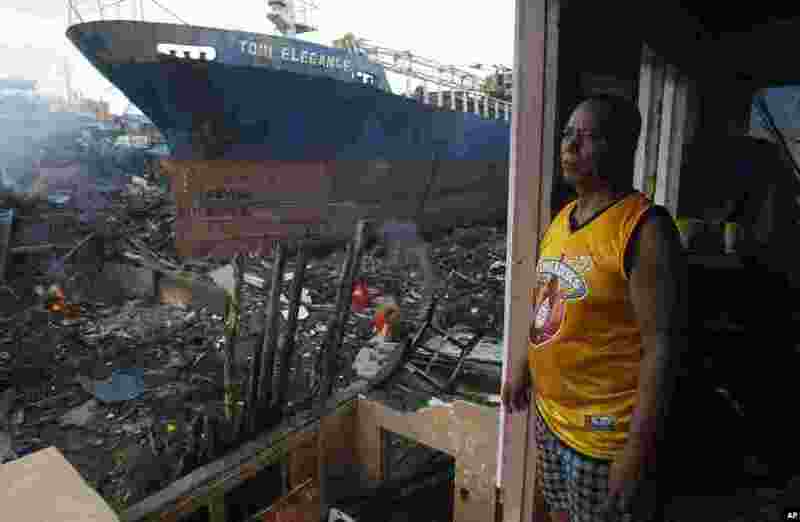 ١ Typhoon survivor Manolito Pacurib stands inside his damaged home near a shipping vessel that remains grounded after being washed ashore during Typhoon Haiyan, in Tacloban, Philippines, Dec. 23, 2013. 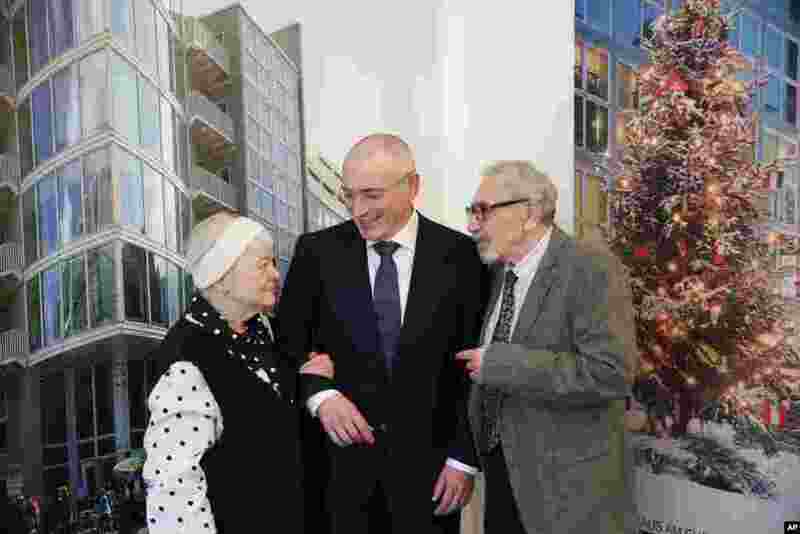 ٢ Mikhail Khodorkovsky, former Russian oil baron, was reunited with his family in Berlin a day after being released from a decade-long imprisonment in Russia, Dec. 22, 2013. 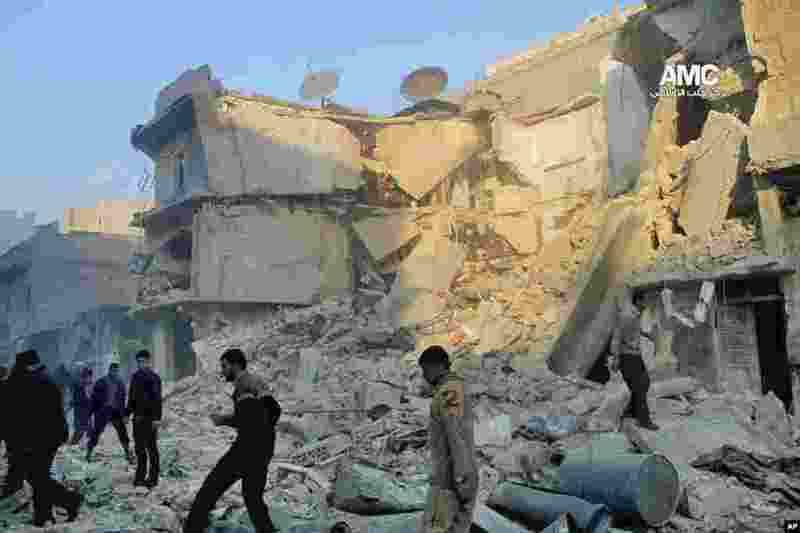 ٣ People inspect the rubble of damaged buildings following a Syrian government airstrike in Aleppo, Dec. 15, 2013. 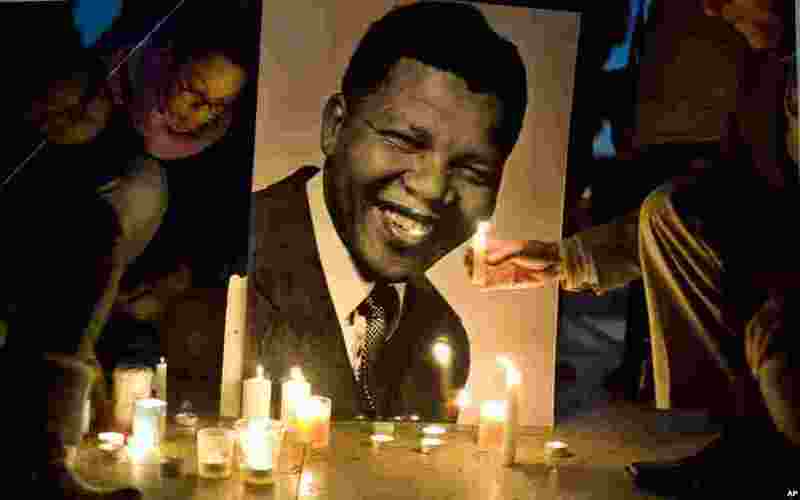 ٤ People light candles in front of a photo of former South African president Nelson Mandela, at the Trocadero Square, Paris, France, Dec. 15, 2013.